Greatest Common Divisor - Greates Common Divisor (GCD), also known as the greatest common factor (gcf) or highest common factor (hcf). 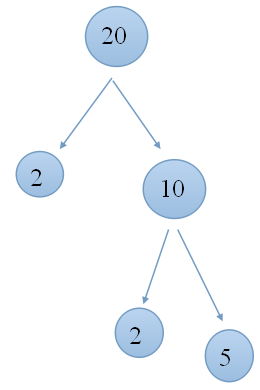 Factor is a number that can divide other numbers depleted numbers. For more details you can read this example. Numbers 1, 2, 4, 5, 10, and 20 is a factor of 20. Why ? Because of these numbers can divide out the number 20. What is Greatest Common Divisor ? After we know what that factor ? Then we will understand the meaning of Greatest Common Divisor. Greatest Common Divisor involve at least 2 numbers. Then what is gcd ? Greates common divisor is the greatest number that can divide two numbers are depleted. For more Details you can further reading this post. how gcd of 20 and 25 ? For answer the question above maticschool have some way to answering the questions above. 1. First way. In this first way we will find the gcd by finding factors of both numbers. Remember ! What is GCD ? Gcd is the greatest number that can divide both numbers are depleted. From a factor of 20 and 25 can be seen that there are several factors that have in common. 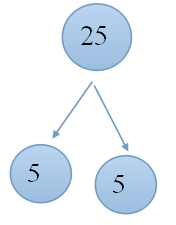 From these data it can be seen that the numbers 1 and 5 are both owned by 20 and 25, but Gcd is the greatest number that can divide two numbers are depleted. So from these data it can be concluded that the gcd is 5. However, using such means will be relatively very long to find the gcd of two large numbers. 2. Second Way. The second way we will use the relative does not take much time. In second way we will use factor tree for find the gcd. Still with the same problem we will solve this second way.